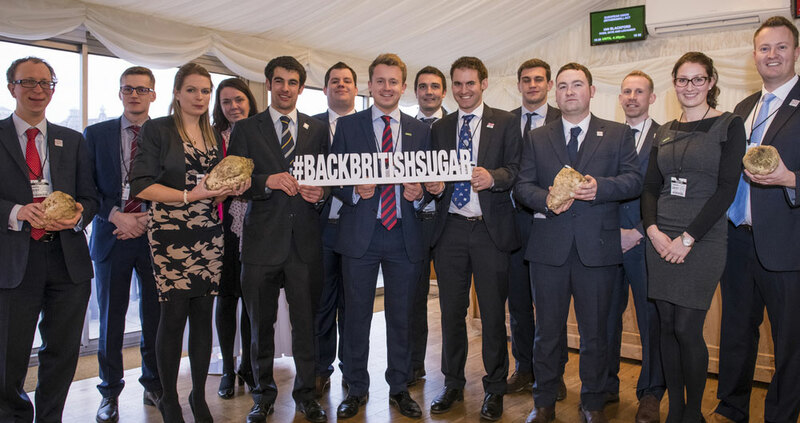 The NFU Sugar Industry Programme (SIP) has finished its ninth year of delivery. During this time, it has nurtured over 100 individuals within the sector, and created a clear succession plan for the NFU Sugar board, with 11 of the 12 board members having participated with the programme. With NFU Sugar continuing to invest in it, the SIP remains a leading light in nurturing young talent. This year’s participants came from a range of backgrounds and attended seven events over four months, each showcasing a part of the supply chain – from seed production to the trading house. For some growers, the intricacies of the sugar supply chain allowed them to see how they could improve the beet crop within their business. For other participants, listening to organisations such as the International Sugar Organisation and Czarnikow sugar traders on the EU and world markets helped place UK beet supply in a global context. “I found the SIP to be an incredibly valuable and rewarding experience, in expanding my knowledge of the industry and contributing to my personal development. “The quality of visits on the programme has been incredibly high. It has embraced a wide spectrum, from practical aspects – for example, the tour of Wissington factory – to providing rare and fascinating insights in to the scientific and political framework behind the crop. Throughout the programme, there have been opportunities for discussion involving other growers and wider industry members. “The resounding message from this year’s SIP has been that there are currently challenges for every part of the supply chain, but there is a great deal to be proud of in and industry that has become a ‘home-grown success story’. The 18 NFU sugar beet intake staff and their manager continue to represent all growers’ interests to the highest standard across all British Sugar sites and the central tarehouse. NFU Sugar led the agenda of transparency and collaboration at its break-out session. By understanding the Swedish sugar beet industry, the UK could see how improvements can be made to contracting and beet supply, which benefits the grower and the processor. This discussion followed the 2019 contract offer, where the removal of crown tare allows for great transparency within the UK industry. The Sugar Industry Programme wrapped up for 2019 following its ninth year of delivery. The programme is the longest standing next generation programme in the NFU and NFU Sugar is very proud of its legacy.